Motore: 1.9 77kW 105Cv BKC. Scatola Fusibili. VWGolf V 2005. INFO RESTITUZIONI. Fusibili Batteria Scatola Per Audi & VW. Seat Leon 1M1 1.6. Audi A3 8L1 1.6. Audi A3 8L1 1.8. VW Bora 1J2 1.6. VW Bora 1J2 1.8. Seat Leon 1M1 2.8. Seat Leon 1P1 1.6. VWTouran 2.0 140cv BKD 2007. Scatola Fusibili. INFO RESTITUZIONI. Cod. : 3C0937125. Scatola Fusibili. VW Passat 3C 2008. INFO RESTITUZIONI. Scatola fusibili sotto volante cod. Volkswagen Passat Station Wagon Automatica 2.0 TDI del 2006. Cod: 08501002. Altro cod: 0005400650. Centralina scatola fusibile per Volkswagen LT 35 Mk2 1996-2006. SCATOLA FUSIBILI VOLKSWAGEN GOLF V 1.9 TDI. CheAutoRicambi 329/8252746. Scatola porta fusibili VW/AUDI/SEAT nuovo originale. AUDI Q7 [AQ7]. AUDI A3/S3/SPORTBACK/QU. AUDI A6/AVANT [A6]. AUDI A6/S6/AVANT QUATTRO [A6Q]. AUDI A8 [A8]. AUDI A8/S8 QUATTRO [A8Q]. SEAT IBIZA/ST [IB]. RELE' RELAY 95VW10K705CA. - per i Paesi Bassi: Isole Bes, Aruba, Curacao, Sint Maarten. - per la Francia: Guadalupa, Guyana Francese, Martinica, Riunione, Saint Barthélemy, Saint Martin. - per la Finlandia: Isole Aland. VW Passat 3C 2.0 140cv BMP 2008. Scatola Fusibili. INFO RESTITUZIONI. Codice Produttore: 1k0937132f. Codice : 1k0937132f. COPERCHIO PER SCATOLA FUSIBILI. Scopo utilizzo Dal 2003 in poi. Tipo di usura Specifiche dell'oggetto. SCATOLA FUSIBILI ORIGINALE PER VW GOLF 5 SERIE. Fusibili e relè visti sulle foto sono inclusi. VW Polo 6C GTI (2-3 Türer / linkslenker). Alle Ersatzteile werden vor dem Verkauf auf die Funktionstüchtigkeit geprüft. von 8:00 – 16:30 Uhr. Wir sind für Sie da! Farbe Flashrot LP3G. All parts are security marked, removal of this mark will invalidate your warranty. These parts are from a used vehicle may have scuffs and scratches. Bumpers, Panels & Bonnets. All parts supplied are taken from a used vehicle, may show signs of wear and tare. PART NUMBER: 1K0937132F / 1K0937125D. TO FIT: VW SCIROCCO MK3 (COUPE) MODELS FROM 2008 - 2018. GENUINE VW PART. IN GOOD USED CONDITION AND FULL WORKING ORDER. 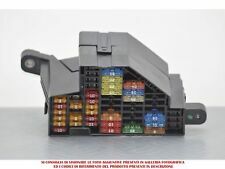 PORTAFUSIBILI NUOVO "ORIGINALE" 6Q0937617C VA MONTATO VANO BATTERIA. POLO 9N (2002-08). FABIA (2000-08). IBIZA (2002-10). CORDOBA (2002-10). Ibiza II 6K1 (Bj. 1999-2002). Octavia I 1U2, 1U5 (Bj. 1997-2001). Inca 6K9 (Bj. 1996-2003). Wichtig: Sicherheitskasten für Fahrzeuge mit Batterie 70Ah. Bora 1J2, 1J6 (Bj. ). 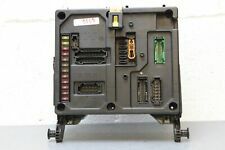 VW POLO 6N2 2000 SDI 5 DR FUSE BOX AND FUSES FROM THE FOLLOWING VEHICLE Vehicle Registration Number X636*** Model VOLKSWAGEN POLO S SDI VIN (Chassis) WVWZZZ6NZ1Y091106 First Registration Date 13/11/2000 ENGINE CODE ASX GEARBOX CODE ETF PAINT CODE C3K CANYON PEARL RED. PART NUMBER: 3C0937125, 1K0937732F. MODEL: PASSAT B6 2.0 TDI CR. Do not relay on it. CAR FACTOR. TOP GENUINE USED CAR PARTS. Item will be sold exactly as shown in the pictures (you get what you see). VW PASSAT SALOON. VW TRANSPLANTS LTD.
JK Part Number: J63720Quality Bosch product. Universal 6 volt relay. Has a variety of uses anywhere that you may need a relay. Fits VW Beetles from 1947 to 1966, and VW T2 Split Screens from 1950 to 1967. Scatola portafusibili a 6 vie centra. - 1999-2004 Volkswagen Jetta / Bora MK4 Model. 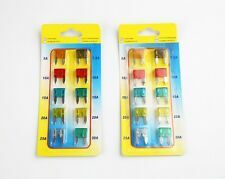 Fusibili da 10 pezzi per auto suv 5a. Buy It Now. 100x Kit Di Fusibile Misto Con Attre. 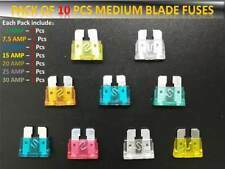 10 Pezzi Fusibili ATR Micro2 Misto 5. It will be in a good usable condition, It will fit a VW Beetle 1303 All years, it sits in the centre lower part of the dash, It will also Fit a VW Type 2 1974 to 1979. This is a Fuse box, It is second hand and will be in good condition. 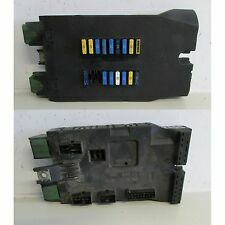 VW GOLF JETTA MK2 90 SPEC CE2 BLADE TYPE FUSEBOX. GOLF JETTA MK2 LATE 89-92. PASSAT / T4 / TRANSPORTER. CORRADO 88-95. FITS VARIOUS VW's. GENUINE VW PART. POLO 94-99. 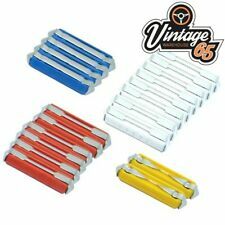 This will fit all VW Beetles manufactured from 5/71 to 1979 except 1303 models. This is a genuine VW part, it is second hand and will be in good working condition. This is the type that has the relay housing attached. 1.4 MPI Benzina. SCATOLA FUSIBILI. con fusibili. ORIGINALE VW. SDA gruppo. 6X0 973 374. CENTRALINA BODY COMPUTER COMFORT SEAT ALTEA VW GOLF AUDI. CON DISBRIGO PRATICHE PER LA DEMOLIZIONE. ACQUISTIAMO AUTO SINISTRATE E MOTO. SINISTRATE IN ZONA. Ritiro AUTO da DEMOLIRE e. PER MOTIVI LOGISTICI. (COMPATIBILE CON VOLKSWAGEN,AUDI,SEAT,SKODA. -) AUDI A100, A10Q, DAL 1991 AL 1994. -) AUDI A 6 A6Q, DAL 1995 AL 2005. -) AUDI A8, A8Q, DAL 1994 AL 2010. -) AUDI 80, A80Q, DAL 1992 AL 1996. -) AUDI TT, DAL 1999 AL 2016. PART NUMBER: 3C0937125, 1K0937132F. 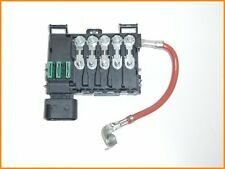 VW PASSAT B6 1.9 2.0 TDI FSI 2005-2010 UNDER BONNET POWER FUSE BOX & LID. MODEL: PASSAT B6 1.9 TDI. Do not relay on it. Cash only if collected in person! ENGINE: 1.9 DIESEL 105 BHP CODE: BXE. Per acquisti conclusi senza un espressa richiesta di fatturazione non sarà più possibile farne richiesta. È l’unico voto utile. Ecco cosa puoi fare per aiutarci, è molto semplice. MOLTO IMPORTANTE! (2001-2010) - NEU - Gute Qualität ! Sharan (2001-2010). Alhambra (2001-2010). Galaxy (2001-2006). PASST FÜR VOLKSWAGEN PASST FÜR SEAT PASST FÜR FORD Die Qualität - dem Original ähnlich. TO FIT: VW EOS PRE-FACELIFT MODELS FROM 2006 - 2010. GENUINE VW PART. PART NUMBER: 1K0 937 125 A / 1K0 937 132F. IN GOOD USED CONDITION AND FULL WORKING ORDER. Removed from a VW Touran 2004 reg. Model: TOURAN. 1.9 TDI AVQ. FUSE RELAY BOX. Genuine used VW part is in very good condition. AUTOMOTIVE / R PARTS. Aus dem Lager eines ehemaligen VW Audi NSU Händlers. mit Alters-Lagerspuren siehe Foto. VW T2 Split Screen. Air-Cooled Petrol (1960 - 1967) Air-Cooled Petrol (0 - 0) The No.1 Parts & Accessories Supplier for VW Camper Vans and Beetles. JK Part Number: J29333Top quality reproduction 12 Volt fuel gauge with an OE Style face. 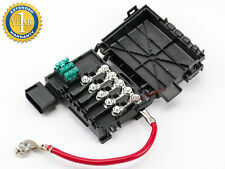 Scatola portafusibili per batteria VW Golf MK4 Fusibile a 3 fili 1J0937550AD£ 14.99. Scatola portafusibili per batteria VW Golf MK4 Fusibile a 3 fili 1J0937550AD. SCATOLA DEL CAMBIO-. VW accessori. Corpo VW & interni.